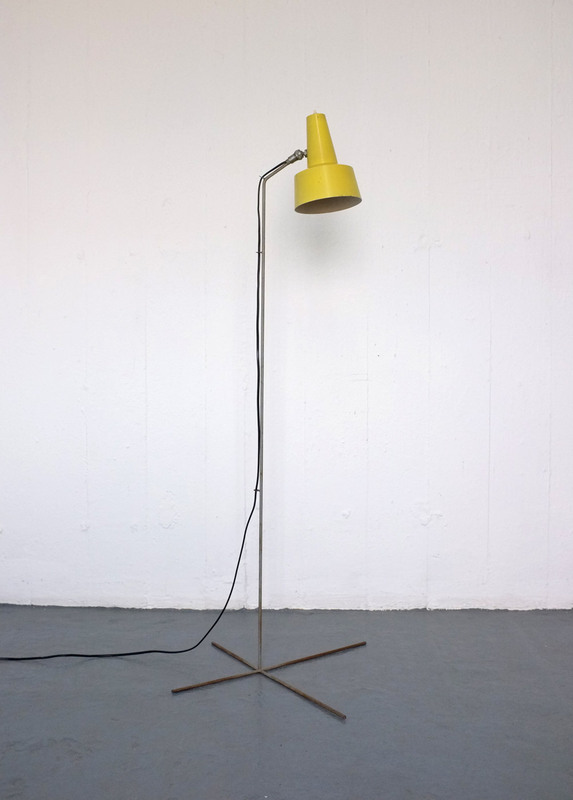 A rare floor lamp designed in the 1950s by Bernard Schottlander. 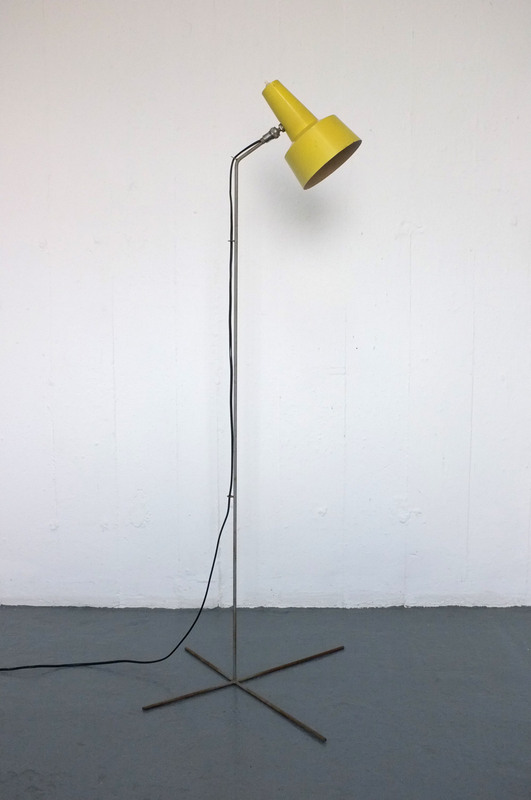 Yellow metal shade on thin metal rod frame and cruciform base. 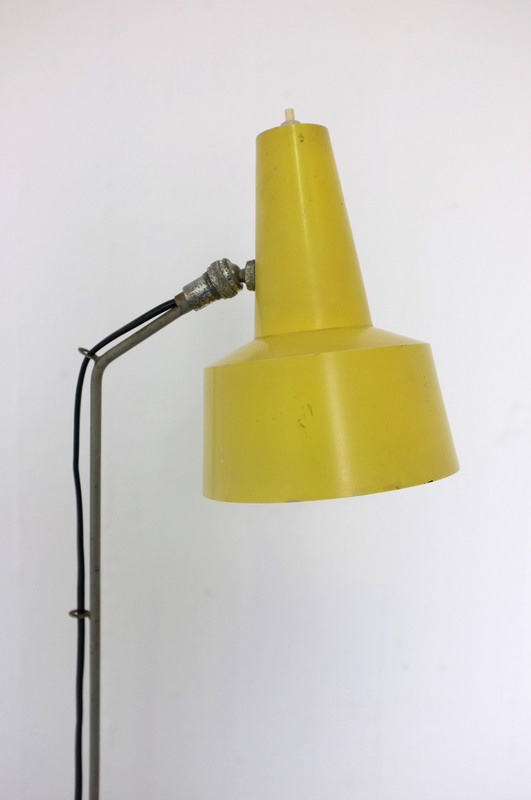 In original condition with more recent wiring. 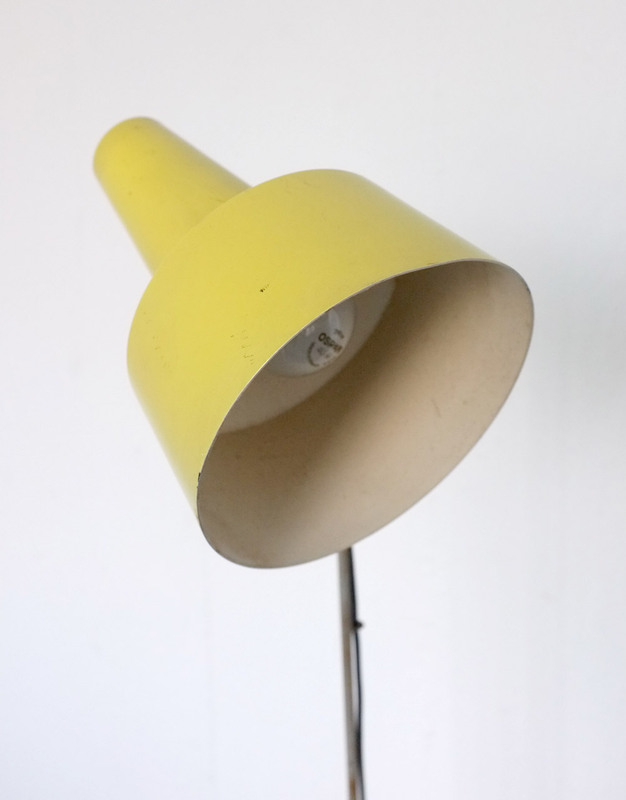 The shade has the original yellow paint which has dulled but still looks great, there are no dents to the shade but there are some marks and small scuffs. The finish on the base is quite worn.